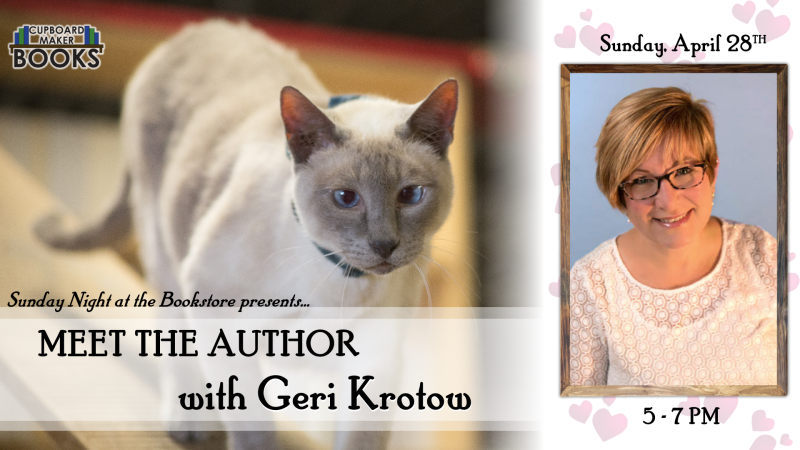 Meet author Geri Krotow! 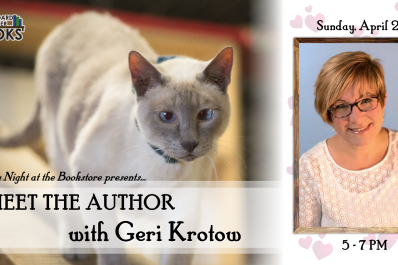 Geri is the author of several series of romance books, including the Harlequin Intrigue series Silver Valley PD, which is set locally in Mechanicsburg. Geri is a former US Naval Intelligence Agent who has traveled all over the world and now writes full time. She is the author of three series: Whidbey Island; Silver Valley PD; and Bayou Bachelors. Meet the Author is an offshoot program of our monthly Sunday Night at the Bookstore. The aim is to provide an informal setting where readers and authors can chat without the pressure of a book signing table in the way.